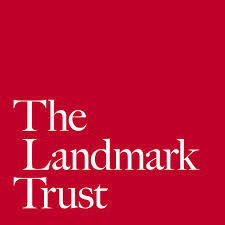 PEAK is delivering a pilot project, in partnership with The Landmark Trust and supported by the Heritage Lottery Fund, to develop a programme of artist residencies during 2015-18, in response to the Trust’s renovation of Llwyn Celyn a Grade 1 listed, medieval house and farm in the Llanthony Valley, Monmouthshire. Stefhan’s residency will respond to the presence of the other, non-human occupants of Llwyn Celyn, both now and in the past and examine the conflicting needs of wildlife and people during the restoration. He will work with local people to research the site’s wildlife and with his playful approach to process and materials, make a series of sculptural pieces which could also act as dwellings, feeding stations, lights or viewing structures for the bats, owls, shrews, moths and other current inhabitants of the site. Could the grass remember? This single question encapsulates Toril’s residency which will explore a shared experience of place on a site occupied for hundred of years. In her most recent photographic works, using wild flowers, glass and a scanner, the subject becomes something preserved as well as celebrated. Toril will continue the the use of these recent techniques and immerse herself in the site, documenting the people, the space, the materials and skills involved in the restoration to produce an online archive and giclee print. Catherine will be present when archaeologists, agricultural specialists and volunteers are working on site in order to record findings and discoveries through sketches, rubbings and notes. Catherine will also research historical documents such as land registries, parish records and maps. She will incorporate her research and original observations to produce large scale drawings which combine drawing, collage, print and text and will organically evolve and emerge over the course of a year at Lwlyn Celyn. 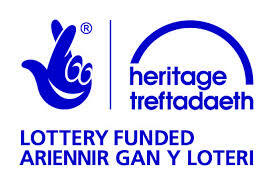 Jamie will take light assisted photographs of the fractures found in the physical structure of Llwyn Celyn. He will record the existing damage to the building with the use of LED lights placed in crevices to bring to the fore the hidden site, resulting in a series of photographic prints. Jamie will also work with the Trust’s conservationists to develop his own understanding of the structural materials. Each artist will record their experience and work in progress via the PEAK blog, which will also provide information about public talks and events throughout the residency programme. Artist and Community Projects Manager Morag Colquhoun will lead a series of creative sessions for young people and community groups at Llwyn Celyn in response to the residencies and the work of the Trust’s conservation and renovation teams.